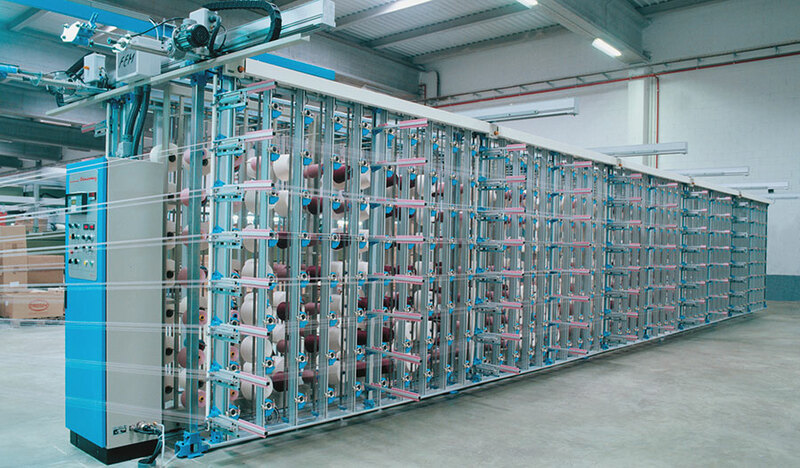 The loading systems designed by COMSAT, intended to facilitate the loading of the bobbins in the creeldepending on the application for each customer. 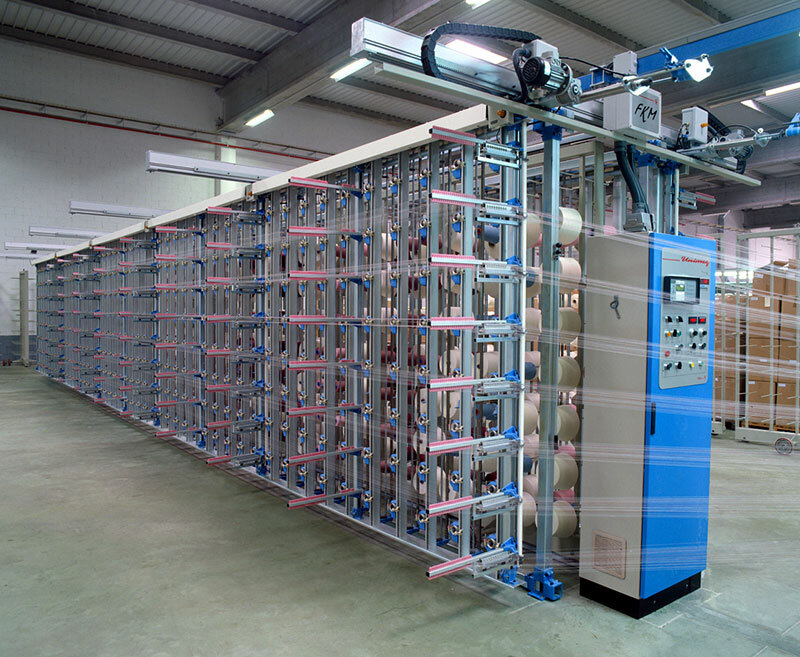 There are several types ofloading systems such as: FEU creel, FEU-R creel, FKU creel and FGU creel. Standard creel with a fixed double-sided bobbin holder, enabling fast bobbin changes thanks to the mobility of the tensioner-holders, which can be opened manually on either side. The mobility of the tensioner-holders allow to achieve right distance to be left between the bobbin and the tensioner for an optimum ball formation. Creel equipped with double-sided bobbin-holder carriers, enabling them to be removed one by one from the creel and load the bobbins. 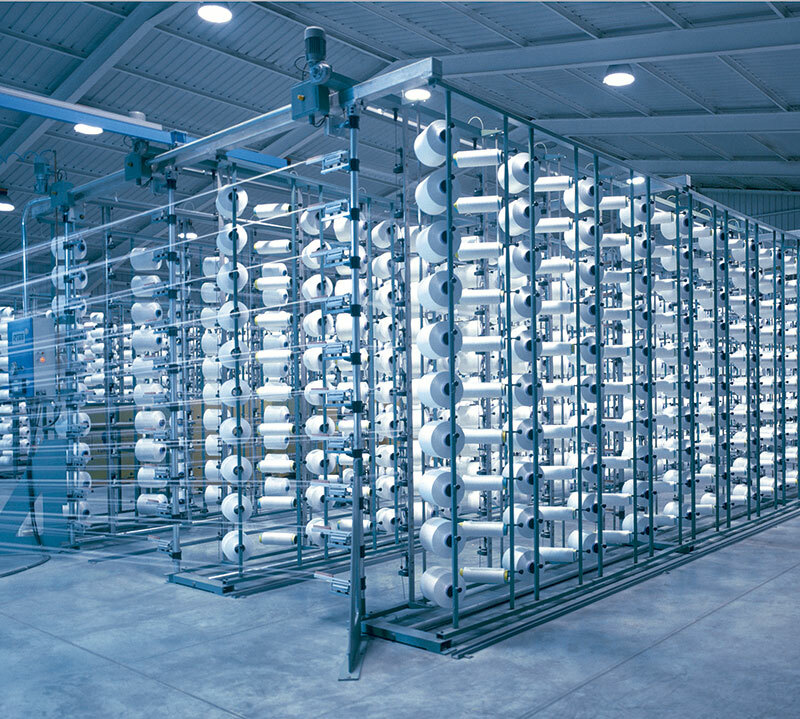 Considerably reduces warper downtime, as it is possible to warp while the set of empty carriers are being filled up with bobbins outside the creel. Creel built with swivel bobbin-holder segments with double-sides, allowing the new set of bobbins to be filled up from the outside, while the warper is working with the inside bobbins. Recommended in the cases of higher creels or heavy bobbins. The FGV model has the same construction as the FGU creel but in V shape, perfect for direct warpers of high efficiency. Transfer creel equipped with two bobbin-holders for each tensioner. 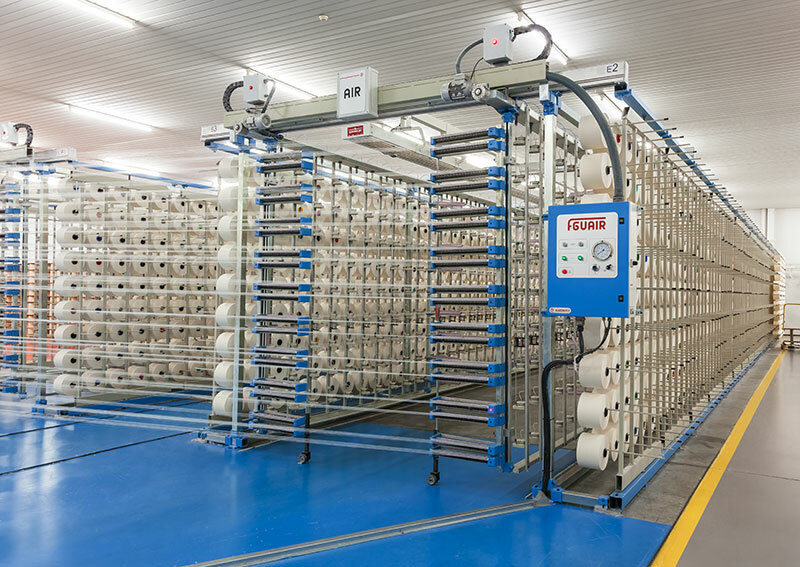 While one bobbin is under operation the second is on stand-by, so that when the first bobbin runs out of yarn it will transfer to the second bobbin. This creel is particularly suitable for making several identical warps of long batch lengths.